Mamba Roller Coaster Press Kit, Worlds Of Fun Theme Park, 1998! Montu Roller Coaster Press Kit, Busch Gardens Tampa Theme Park, 1996! Details about Storm Runner Roller Coaster Press Kit, Hersheypark Theme Park, 2004! 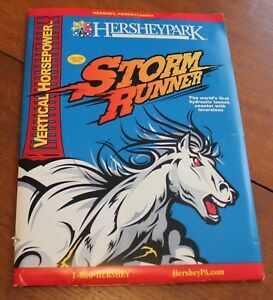 Storm Runner Roller Coaster Press Kit, Hersheypark Theme Park, 2004!